Buy a bunch of Marvel Epic Collections and give them a thorough read. Especially the silver age Daredevils and Avengers. 6. Collect more stuff with Satana. Loved two issues I picked up recently (see purchased lately thread) and just want more! One publisher I really enjoyed in 2018 was Archie. Both the new material and reading collections from the 40's & 50's. I want to continue to pick up their older stuff. Both the gang from Riverdale and the MLJ superheroes. My year of 2109 comic book "goals"? No set goals but I am also working on picking up D&D related comics, Charlton/GK/DC mystery/horror comics, DC Trek comics, Milestone comics, various quirky 70s and 80s indy comics, sword & sorcery comics and Gargoyles comics (that one for my wife) as I do the show circuit and visit shops in 2019. With the first quarter of 2019 drawing to a close, time to do a quick status check..
-wanted to read 12 novels, short story collections or non-fiction works, so far have read 6, so ahead of pace on this. -wanted to complete at least 10 series I need just a handful of issues for, so far in 2019 have completed 9 and made progress on 3 others from the list. I also finished organizing, sorting and figuring out how I wanted to sotre all my floppies (I was done up through S at the beginning of the year, finished T-Z). Am now working on magazines, trades and prose paperbacks. So good progress so far in the first quarter of 2019. I like to get off to a good start as I know I always hit a lull at some point during the year, and so far so good. Okay, I will continue my trend and try to pick five goals. 2. Read more. This year was a great year in terms of accumulating a ton of great books. This year the focus will be slightly less on buying and more on reading. 3. Add at least five golden age comics. I own three currently and want more. Horror titles have skyrocketed but war and westerns seem doable and there are some gorgeous covers out there. 4. More twenty cent Batman stuff. Be it Detective issues or Batman, I want to add more of these issues because I love the covers from that time period. 5. Continue to collect on a budget. This past year I spent about $90 a month on comics. I sold a lot but also bought a lot and it averaged out to around $2 a book which is great considering some of the stuff I added to the collection. This year I want to see how much better I can do at selling and flipping comics. With three long boxes of stuff to purge, I will set my sights there and continue to try and move stuff along so I can buy stuff I want. 1. I have acquired a few ASM issues. #108, 113 and 214 were missing but now part of the collection. Few more left to track down! 4. Have a stack of Bat books coming in. A few 20 centers in the lot, the rest will be sold. 5. So far so good. I am averaging between $2-3 a book after I have sold extras/doubles/stuff I dont want. Plus, I have been making a small dent in some of the stuff in my to sell boxes. Hoping in the summer to take part in a local small comic/game/pop culture convention and sell of even more stuff. Way ahead of schedule on my review goals, but my reading goals are languishing. I really haven't read very much at all. Then again, my life was pure insanity up until about a week ago, so I have to give myself a little slack. As for the non-comic related novels, I'm about 1/10th into David Copperfield and a few chapters into Pride and Prejudice. Really not far at all. And I've bought less than ten comics this year, so I'm doing fine in that respect. Picked up a "collected" bag of 20 issues of Rom for $10. Filled with issues from #42 on up and actually managed to score 11 issues I needed to help towards filling out my collection. Got #45, 46, 47, 59, 61, 62, 63, 67, 68, 70, 71. Only 18 more to find! Liberated some more well loved war comics from the $1 bin of wayward orphan's and took them home to their new home with me. 3 Charlton's: Our Fighting Forces in Action: ATTACK issues 7, 16 and 18. Then some DC goodies: G.I. Combat: issue 177 (while still 25 cents) and then from when it went Dollar Size I found issues 234, 267, 271, 272, 275, 276 and 277, all featuring the Haunted Tank as the Headliner. Grabbed up several new issues from the last few months: Disney comics and stories: 3, 4. Ducktales 15, 16, 17, 19 (already had 18), Uncle Scrooge 43 and the final issue of Uncle Scrooge's 1st Millions #4. Looks like you had some great finds. Congrats!! I truly miss the joy of acquiring long-wanted issues inexpensively. My collection has long since grown far too full. Thanks shaxper, I did find some nice treasures. Most of my big collecting days are behind me now for the most part. I no longer really feel the "need/thrill" for filling in collections to just sit in a box. The fun now is for seeking out hidden gems or missed opportunities from my youth. During high school it was ROM and Micronauts and Star Wars which captured my imagination. Star Wars I had all of the run and sold off for a decent amount of change (nice down payment on a vehicle) years ago and have replaced via the Dark Horse TPB collection. I did the same with Micronauts and ROM years ago (sell when they are in demand and HOT items, don't hold on and wait/hope for more $$) and around 5 years ago I managed to rebuild the Micronauts singularly with winning a LCS lottery for a complete original run and then tracked down the Direct market run through a couple of LCS dollar bins. ROM has been the more difficult series as I think people have held on to it more than the others out of the Mantlo and Buscema start and the end with Ditko. You can find higher end issues for bigger bucks since all the sellers want/expect more reward for selling their "beloved" series and additionally there is no reprint or TPB's around to help lower the prices. The same LCS I bought the 20 for $10 bag also puts issues up for sale from private owners and they have had issues ranging from $6-15 and issue which I wouldn't pay. I am quite happy with every issue I have ever repurchased of ROM as being only $1-2 at most. Growing up in the 70's I saw tons of Westerns and War comics but never really bought them as I was a bigger science-fiction and fantasy addict in addition to the heroes. Now I wish that I had bought more of them. 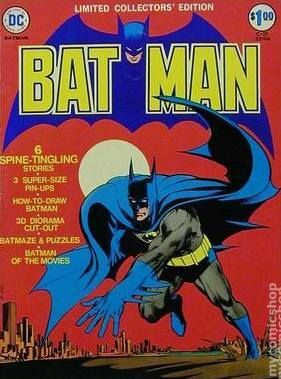 Now I am finding that these types of older comic books provide much more entertainment and pleasure to me than any of the modern stuff. So digging around the #1 boxes or grabbing up packaged goods of 5-10 issues for $5-10 i a great value and reminds me of those golden days of youth. The DC dollar runs are truly fun as you get so much story and art in those books with a variety of war time stories. Gimme a box full of War and Westerns with yellow fading pages, torn covers and creases with a big glass of Kool-Aid while sitting in the back yard, smelling the fresh cut grass with the sprinkler going so a cool breeze blows across me while listening to an oldies radio station and I am once more a smiling happy little camper!